Lukwago Erias (Ssalongo) was born in Kabungo Masaka district (now Kalungu district) on the 11 May 1970 to Muhammad Mirundi and Salimanti Nakayaga. He attended Makerere University between 1993 until 1997, graduating with a Bachelor of Laws degree. He went on to obtain a Diploma in Legal Practice from the Law Development Center in 1998. He also holds a Certificate in Advocacy Skills from the International Law Institute. 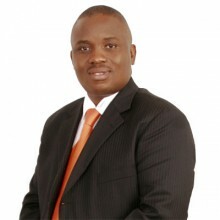 Lukwago Erias (Ssalongo) is a Ugandan lawyer and politician. He is the Lord Mayor of the city of Kampala, the capital of Uganda and the largest metropolitan area in the country. He was first elected to that position on 14 January 2011 and re-elected to the same position in 2016 with a landslide victory of 82% in universal adult suffrage. In 2006, he was elected to the Ugandan Parliament, on the Democratic Party ticket, representing the Central Kampala Constituency. While in parliament, he served on the Legal and Parliamentary Affairs Committee and on the Local Government Accounts Committee. Since 1998, Lukwago has worked as the managing partner in the offices of Lukwago and Co. Advocates, a Kampala law firm that specializes in constitutional law and human rights law. He is married to Nalongo Zawedde Lubwama Lukwago and blessed with children.